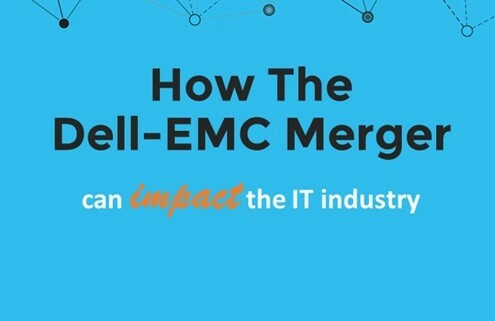 On 12th October, 2015, tech giant Dell announced its decision to acquire data storage solutions provider, EMC Corporation for a grossing $67 billion, in what is being reported as the biggest tech merger in history. The move is considered to be an important one for Dell Inc. based on organizational and strategic reasons. 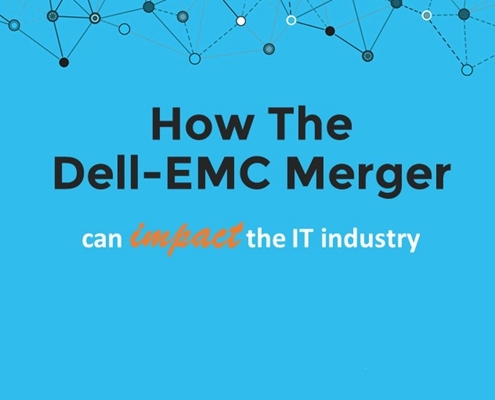 In terms of the former, the deal will allow Dell to take EMC under private ownership, since Dell is currently, a private limited company, making it free from shareholder pressures and decisions. We’re continuing to evolve the company into the most relevant areas where I.T. is moving. This deal just accelerates that. The news of the merger has sent shockwaves across the business and IT industries. Experts have expressed cynicism on whether the move will be a success. Others, however, are more optimistic about the positive impact it will have on the IT industry. In light of this, we share our opinion on the matter from the perspective by weighing both. One of the few things that have left thought leaders with raised eyebrows is that Dell’s decision to acquire EMC to enhance its cloud solutions comes very late. Considering big name competitors, such as the Amazon Web Services (AWS), Microsoft’s Azure cloud platform, and IBM acquisition of cloud specialist firm, SoftLayer in 2013, Dell’s merger with EMC is making a very late entry into the currently thriving cloud business. This somewhat ‘strategic move’ may not be all that worthwhile given that rivals have made enormous leads in the cloud rat race. Amazon reported to a stellar operating profit margin of nearly 17% earlier this year, while Oracle is set to exceed cloud revenues of $2 billion in its 2016 fiscal year, up from $1.5 billion the previous year. Microsoft is also making significant gains with its Azure cloud platform, leaving Dell with far too much work to do to catch up to its rivals. While it can be argued that Dell may have been too slow to react to the cloud solutions business, it is also worth considering why Dell would settle to pay $67 billion for a data storage solutions provider because by any standards, this sum is far too much for a merger of this proportion. However, the real value of the payout lies in it what Dell calls its federation of subsidiaries, one of which is VMware, a remarkable cloud asset. EMC is no ordinary tech company; it is an IT behemoth, which,in addition to providing data storage solutions, owns RSA, a specialized security company among others. What is very likely to become Dell’s strategic asset in its endeavor is EMC’s 81% stake in VMware, which dominates the cloud virtualization software for running operating systems on mobile devices. With it, Dell can tap into a niche cloud segment, where businesses can manage their data centers a lot more seamlessly and gain considerable cost efficiencies. As the world is quickly moving to the cloud, Dell’s merger might prove to be immensely useful for the IT industry. Dell had been providing infrastructure for different cloud models, such as private and public, for a very long time. It has also made a firm footing in the hardware side of the cloud business, but not its software side. Now, with VMware as a key cloud asset, it can snowball its cloud solutions a lot more comprehensively to businesses, making Dell a one-stop shop for the commercial sector. This could be the most compelling value it can provide to its customers. While businesses which are clients of either Dell or EMC may have to experience some transition pains; in the future, they can receive cloud solutions at great discount offers. Not to forget that EMC brings a lot to the table that can greatly revolutionize the way cloud solutions are offered to businesses. Its ownership of the security firm RSA can be closely integrated with Dell’s cloud solutions, making it a highly secure cloud platform. This could also change the approach through which hybrid cloud platforms are being provided. Furthermore, Dell can also be said to benefit from a key competitive advantage over its rivals. Companies such as HP and IBM are narrowing their business focus by divesting many of their operations. Through Dell, on the other hand, businesses can purchase everything from computers, and security systems, to cloud networks, and related technologies. This can give IT leaders better options and minimize the uncertainty in managing different vendors and service providers for their IT solutions. While it is too early to tell how much of an impact the new merger can make on the IT industry, the potential benefits of IT leaders and businesses receiving all IT hardware and software solutions from one access point is compelling.